We are honoured that Sensei Toshimitsu Arakaki, 10th Dan Hanshi-sei and WMKA Vice-President, will be joining us again from May 25th to June 1st, 2019. The only way to secure your spot in this limited-space seminar is to send your registration waiver with your money. The post-seminar dinner is limited to 30 people so please indicate on the bottom of your registration if you are going to the dinner or not. The fee is $100 for just the seminar. The fee for all the workouts during the week prior plus the seminar is $150. Fees must be in by May 15th. Two years ago, the 5th memorial was a great success! Students from across North America joined us to mourn the loss of a great man and karate person. We would be honoured to have everyone join us this year to commemorate the life and times of Soke Nagamine. There will be a lot to be learned at this seminar and all students are welcome. Lunch will be provided. There is a minimum $2 donation to help alleviate the cost of lunch, althrough all donations above that are welcome and much appreciated. For those who would like to bring and food to contribute as part of a potluck, this is more than welcome as well. We hope to see you there! All students must fill out waiver forms and submit them to Sensei Trombley. CLICK HERE TO DOWNLOAD Copies are also available at the dojo. 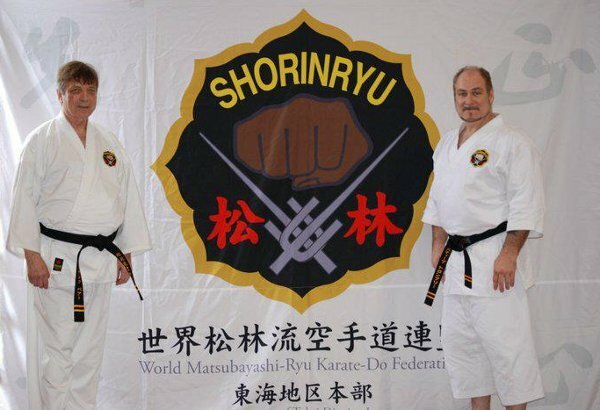 This is the first seminar in Canada for Sensei Frank Baehr, the Father of Matsubayashi-Ryu. 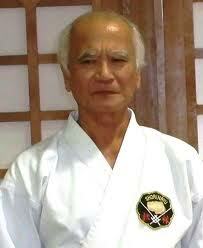 Sensei Baehr lived in Okinawa with O-Sensei Nagamine in the 1960's and brought his knowledge back to Canada. This will be a two-day seminar held at Anshin Dojo in the upstairs area over the main dojo. A dinner will be held with Sensei after class on Saturday at California's Grill just down the street from the dojo. We all thank Sensei Baehr for sharing his knowledge, wisdom and experiences and we look forward to many future opportunities to train with and learn from him. Thank you to all the dedicated students who attended, for your support and your participation at this seminar. The seminar hosted last weekend was a great success! 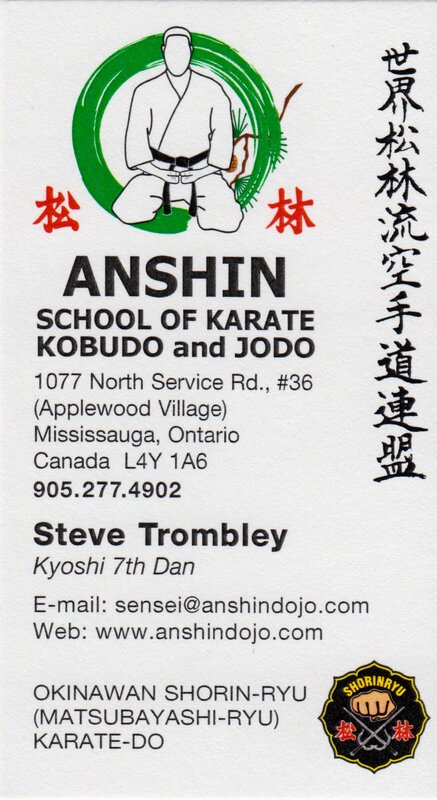 Anshin School of Karate invites you to train with Sensei Yoshiko Dometrich! It is important to note Dometrich was Akamine Sensei’s only non-Okinawan, non-Japanese deshi and remains his most direct link outside of Japan or Okinawa. As she plays her part in preparing the next generation of kobudoka, Dometrich Sensei is as committed to preserving the legacy of Akamine Eisuke, as he was to his teacher, Taira Shinken. Thank you to everyone who attended this seminar. The attendance was great and the knowledge was indispensable. We hope to see our guests from the USA again soon.